St Patrick's Day is coming! 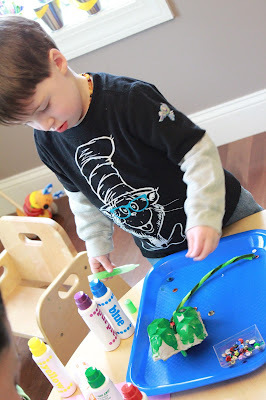 Green, leprechauns, clovers, rainbows, Guinness (ok, well, that's for Mommi)... all sorts of fun ideas for crafts! Over the last week or so, we've made a couple of crafts, attempted some clover cookies and put together a leprechaun hat. Below are some of our adventures. Rainbows of "colored cheerios," AKA Fruit Loops: Zayit has never had Fruit Loops before and I was hoping that I might be able to get away with this craft without him discovering the wonderful world of sugared cereal. Wishful thinking! He now asks for colored cheerios to eat. Oh well. We had fun making our rainbows. We did this one together while Ziva was napping. It was a great bonding time for us - just the two of us sitting at the table, talking while creating our rainbows of colored cheerios and marshmallow clouds. I think he did a pretty good job! Zayit's Rainbow - Extra Special! Shamrock Hand Prints: Now, I can't take full credit for this one - Zayit did this at school, but it was so cute, I had to share. Clover Pretzel Cookies: We attempted this one immediately following the rainbows above. Not a smart move on my part. I think his attention span was long over. Needless to say, they didn't come out quite like I thought they would, but I couldn't really focus on what we were doing either. It was a contest to see how much melted candy the little dude could get in his mouth without me looking! The idea is great and has a lot of potential, but I wasn't as prepared as I should have been. If you try this, get all your pretzel shapes together BEFORE sitting down with your toddler! Would have saved us all a lot of headache. These are mini pretzels, 3 to make the leaves and a broken one for the stem, "painted" with green melting candy. It was a super fast and easy activity, but they would have looked better if the candy had been smoothed out before hardening again. They taste yummy! Egg Carton Clovers: This one was fun! I used an old egg carton and we made clovers. Today was extra special because Aunti Shira was over to play. She LOVES crafts. We've also been reading There Was An Old Lady Who Swallowed a Clover and we've been using printables from 3Dinasours to go along with the book. If you haven't visited her site, it's worth checking out. We often use her printables at the lunch table. Zayit loves the matching and counting ones. We had a fun messy playdate at our house this morning. On a typical Tuesday, Zayit is at preschool, but today was a holiday. I had completely forgotten that he would be home all day, so at 10pm last night I was texting another preschool mama to see if she wanted to break up the day by coming over to play. 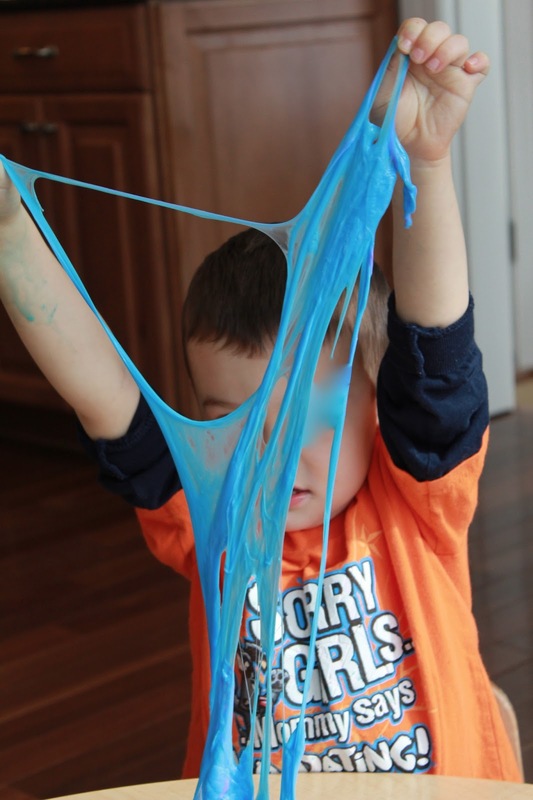 We ended our conversation with "wear play clothes - things could get messy - we might be making Gak." And that's just what we did! The kids had a blast (and I think the mamas did too!). 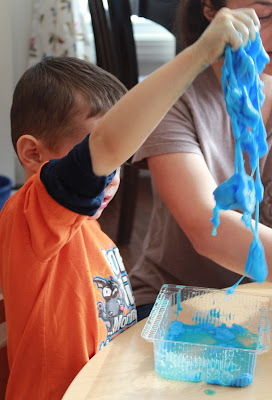 Zayit has a bit of a sensory thing when it comes to touching wet, gooey, squishy things, so he stirred with a spoon, but as soon as the Gak was a bit more firm, he got his hands into it as well! Fun was had by all. Our Gak recipe was Borax-free. I didn't feel comfortable using Borax in something that Ziva might potentially get her hands on (we did this while she was napping, so she wasn't involved in the making it process, but I think I will have her play with it tomorrow because it is just so cool to touch). Each child got a plastic cup of colored glue, a spoon, a cup of pre-poured liquid starch and a larger container for mixing. We started by adding a little of the starch at a time and stirring, kneading and squeezing, then adding more starch and repeating. Eventually all the starch was added and we had big slimy messes. The mamas then squeezed out the excess starch and handed over an awesome, cold and slimy glob of goo. The kids went to town! 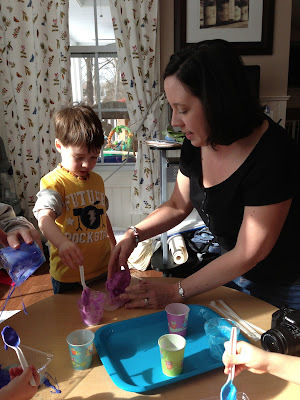 Since the kitchen was already a mess, after we were done with Gak, out came some paints, paper and Q-tips for creating. Zayit had such a fun time, he crashed out on the couch after eating lunch. It was a good day! 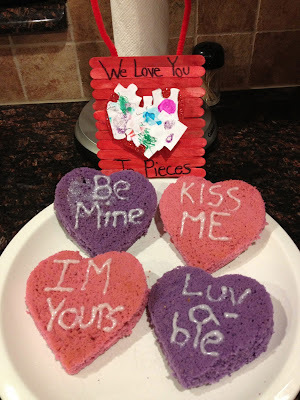 Conversation Heart Cakes! And she MADE THEM FROM SCRATCH!!! No box mix here. I was so impressed. She dug right in to my box of goodies, used food coloring, cookie cutters and all sorts of other fun stuff. And I love the little popsicle stick plaque in the background with puzzle pieces glued onto a heart. It says "We love you to pieces." How stinkin cute! Loving Pinterest these days! We made those crayon hearts that have been floating around the Pinterest boards and they came out so cute!!! They were so simple to make and definitely worth the time. Zayit had fun filling up the little heart molds with broken crayons and watching them melt in the oven. It took a bit longer than his attention span could handle (20 minutes at 200 degrees) but he was super excited to pop them out of the mold after they cooled. (I popped them out first and then put them back in just to make sure that they wouldn't break when he did it). After all the hearts were made, I printed up little 4x4 cards on cardstock and hot glued the crayon hearts to the cards. I'm excited that he has such cute little Valentines to hand out at school this week and there isn't any candy involved! A couple of weeks ago, Ziva took to gnawing on her crib rail. Ugh! She only has 2 teeth on the bottom, but those suckers are sharp. I didn't like the idea of her chewing away on a plastic crib rail protector, so I had to come up with something different. A couple days later I was shopping at Old Navy and they had tons of fleece scarves on sale for $3. Perfect! It took me about 5 minutes to cut slits along the scarf and tie it around the rail. I couldn't be happier! Looks adorable and now Ziva is gnawing on fleece instead of wood or plastic. Crib rail is saved. Ziva had a birthday! Exciting times. 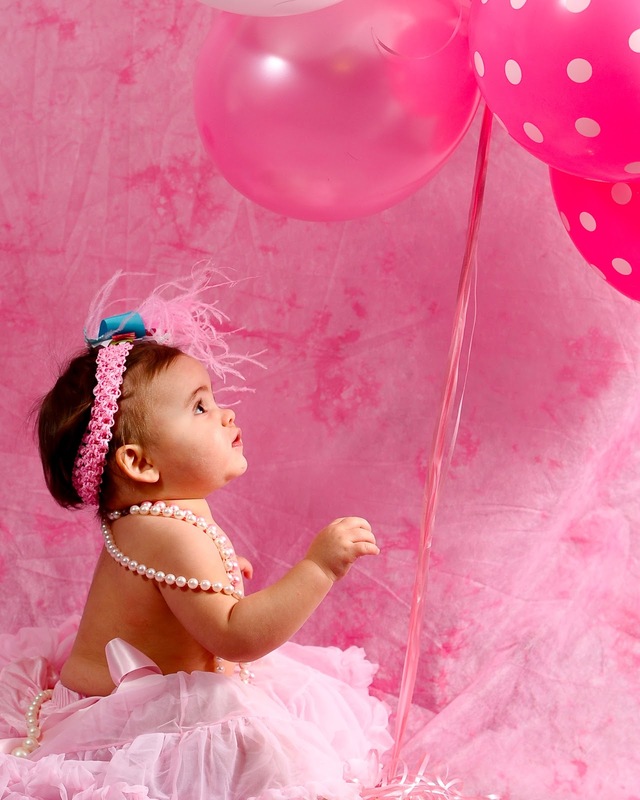 I can't believe how fast she has grown! We had a little celebration to mark the occasion. I had fun learning to decorate cupcakes and made a separate smashcake for the little lady. 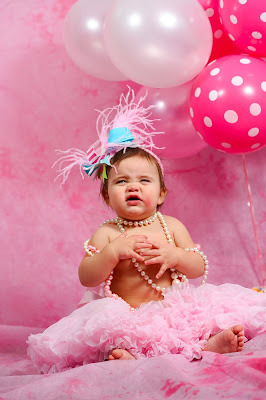 Of course, I had all sorts of ideas for a photo shoot, thanks to Pinterest, but she had other ideas. 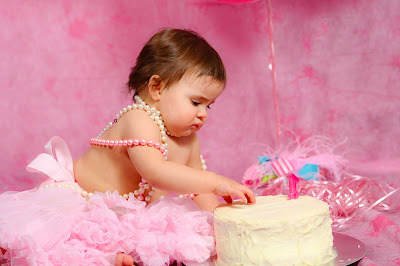 Only my kid would not want to stick her hand right into a cake! Oh well. 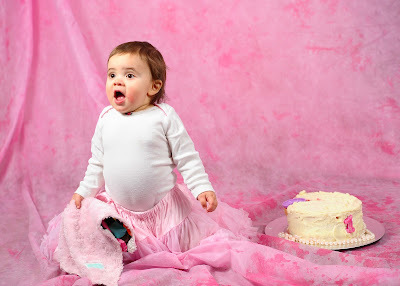 We had fun and got a couple of awesome pics. Thanks to JSPhotography for hanging out with us and capturing the moment! We have had many days recently when indoor activities have been a must. The temps here are just way too cold to go outside. 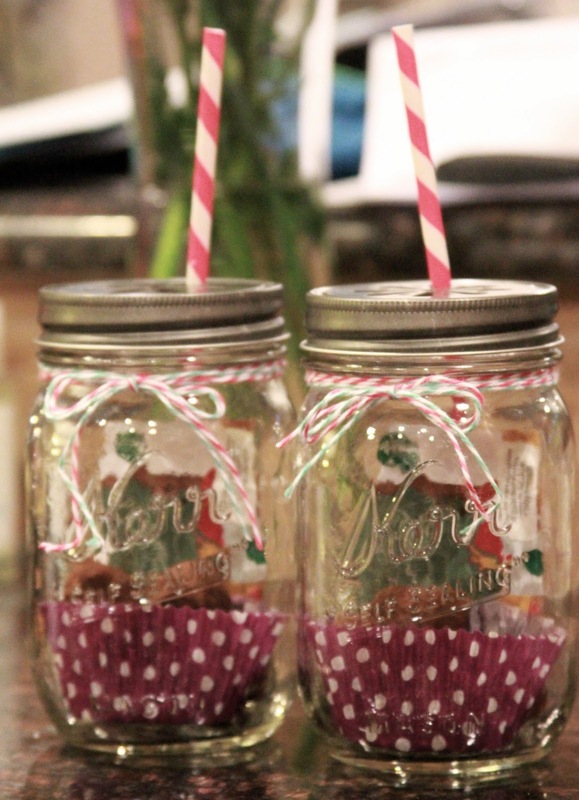 One of our recent "quickies" is a commonly seen activity on Pinterest. I've found that it is helpful to have some supplies on hand... always. One of these items is shaving cream. I never run out. We will go months without using it, but when it's needed, it's always a hit. We needed an after school craft to change the mood. Zayit was getting a little crazy and getting ready to bounce off the walls. 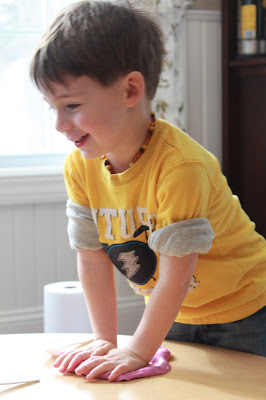 Shaving cream to the rescue! It took all of 2 minutes to set up, lasted about 15 minutes, another 2 minutes to clean up and all was good. The energy in the house quickly changed and it was the 'reset' we needed. If you notice, there is an entire roll of paper towels very close to Zayit. This is key! Shaving cream painting is MESSY. This is the only time I can get him to wear an apron and we go through a ton of paper towels in a short period of time. 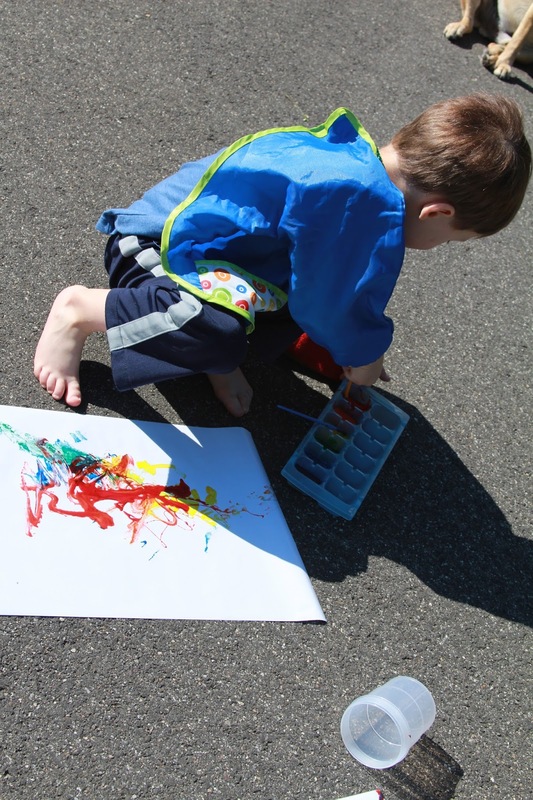 Also, make sure you have thick paper - we use either watercolor paper or finger paint paper. The moisture of shaving cream soaks right through regular paper. We have been busy in our house. I am getting ready to celebrate my little lady's first birthday! So exciting! I can't believe she is going to be a year old in a couple weeks. I'm on a mission to make the perfect cupcake for her little celebration. I anticipate a lovely smashcake just for her and cupcakes for everyone else. Zayit is loving the fact that I keep making cupcakes. On my days home, he asks if we can "make a recipe", AKA mix things with the KitchenAid. Last week I used a traditional box mix for the cake part of the cupcake and was extremely disappointed. So, off to Pinterest Land I went. I found an awesome recipe for cupcakes from scratch. Even Daddy likes them! (link here) Zayit has helped me make 2 batches this week, trying out different icings and perfecting the icing application process (which still needs a lot of perfecting!) If tomorrow goes as planned, we will be making another batch, this time substituting applesauce for some of the oil. Wish us luck!! !